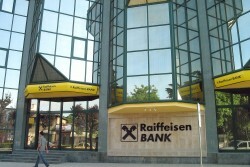 Vienna-listed Raiffeisen Bank International holds 75% of its Croatian subsidiary. RBI confirmed that the remaining shares of Croatian subsidiary will be acquired. According to EU law, banks have to deduct the equity capital of not wholly-owned subsidiaries from their own equity base. In order to improve the equity situation, the Austrian Raiffeisen sector undertakes structural changes. RBI, which holds 75% in Zagreb-based Raiffeisenbank Austria dd, will buy the minority share. The sellers are RLB Styria, RLB Upper Austria and RLB Salzburg. The transaction will be concluded until the end of this year. Already in the years before, RBI has acquired the minority shares of the subsidiaries in Slovakia, Hungary and the Czech Republic.